Are you tired? Do your eyes glaze over? I am. I am tired all the time. I asked my kids what would allow me to sleep better, and they told me my only chance is not to have kids. I decided that I liked my kids, so I needed to find other ways to sleep soundly. “Like a baby,” if you will, except those of us that have had babies know that is a saying, is a big lie. They only sleep when there isn’t any way that you could sleep. Sleep used to be a friend of mine 15 years go until I figured out the solution. What do a disco ball, red lights, and the latest music turned up to 20 decibels have in common? They are all things you should avoid when sleeping. They are things that belong to a club. If you want to sleep, you need to create an environment that encourages sleep. I think about the decor in hotel rooms. 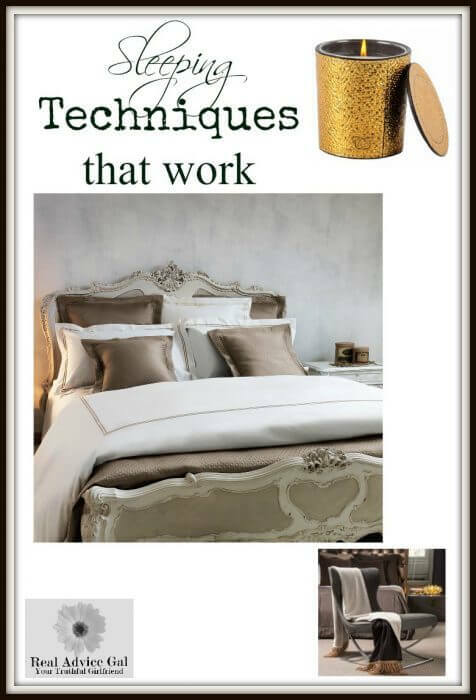 They use muted colors and luxury linens. “The higher the thread count, the closer to God,” I say. I like the softness against my skin, and there isn’t anything better than a warm blanket. The accessories are just as important as the act of sleep. You know there is a reason why children rely on their blankets for bedtime they have associated it with the gift of a good night sleep. I highly suggest you get a nice mattress, comfortable pillow and a good bedding set. Avoid electronics before bed even though you swear they are attached to your body they aren’t. The light isn’t helpful. Frankly, my emails, notices, and friend’s issues do more to stress me out than make me fall into a peaceful sleep. You can do a thirty minute before bed rule to not check them. I suggest not bringing them into your room at all. Have a notebook by your bed because you are writing the next great novel. Yes, you may be the next great author. You may also be someone who has a lot going on in their daily life. I find that I remember things I need to do right when my head hit the pillow. I record them for the next day. I also get a lot of great ideas, so I place those in there as well. The act of journaling is also an excellent way to reduce stress and relax you, so you are ready to sleep. Develop a routine that promotes sleep. You remember when you had to brush your teeth, wash your face, and shower. You were told to do these things each night by your parents. You did them, and you slept. It was your order. I pull down my covers. Then I brush my teeth. I check my phone. I take a warm bath and read a book for 30 minutes. Then I go to bed. I sometimes have water and journal, but I do not turn on the TV or check my phone. I redecorated my room to reflect peace and tranquility.